Northern railroad stations became places to gather for news and information. 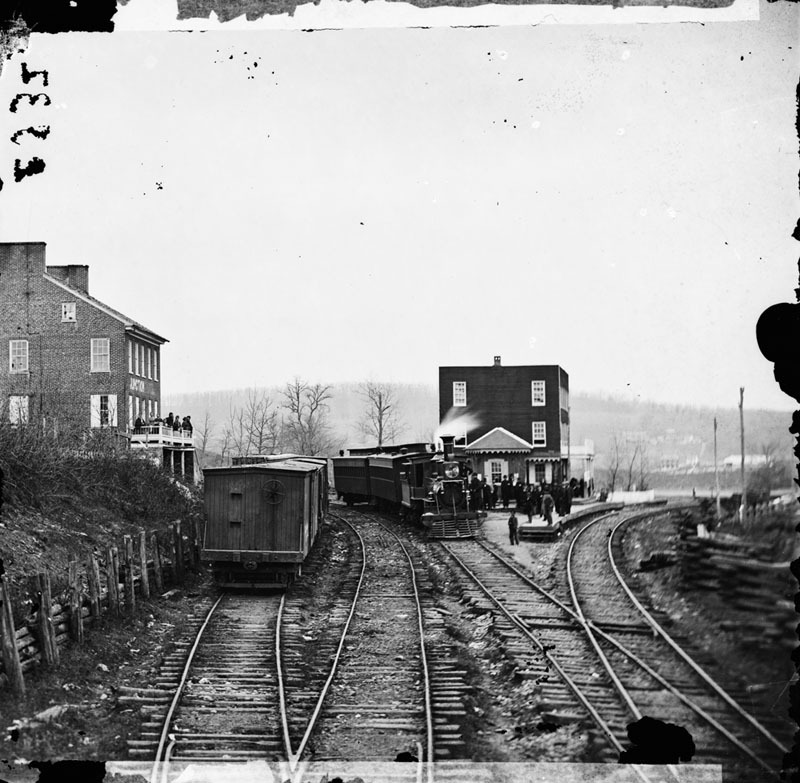 President Abraham Lincoln passed through Hanover Junction in November 1863 on his way to Gettysburg for the opening of the national cemetery. Crowds gathered to meet the president. Library of Congress caption: Hanover Junction, Pa. Passenger train at depot.